Jeff’s diverse background in venture capital and technology along with his experience working in various startup ventures uniquely positions to advise startups. In addition, Jeff is quite active in the Michigan startup community, volunteering his time to mentor young entrepreneurs, judge pitch competitions, and guest lecture student classes and organizations. Through Jeff’s work on the Fund, his volunteer efforts and his role on the Michigan Venture Capital Association’s board of directors, his passion for fostering a productive environment for venture capital investment in the State of Michigan is clearly evident. Jeff was previously part of Ardesta, where he was director engaged in sourcing, evaluating, and conducting due diligence on investment opportunities, as well as monitoring and providing assistance to the companies in Ardesta’s portfolio. Prior to joining Ardesta, Jeff was a co-founder of GrapeVINE Technologies, providing Product Management and Marketing for their knowledge management product, eventually resulting in an acquisition by Sun Microsystems. Jeff was also part of the start-up team for MAXfunds.com, an Internet company providing complete coverage of the mutual fund industry, including hundreds of funds not available on any other site. 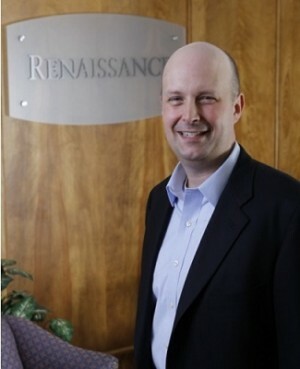 In addition, Jeff spent five years with Ernst & Young’s Information Technology group as a senior consultant. Jeff is a proud trustee of Western Michigan University and also lends his expertise to a number of local nonprofits through his board work for the Ann Arbor YMCA and 826Michigan.